For the Canadian hockey player, see Johnathan Aitken. Jonathan William Patrick Aitken (born 30 August 1942) is a former Conservative Member of Parliament in the United Kingdom for 24 years, and a former British government Cabinet minister. He was convicted of perjury in 1999 and received an 18-month prison sentence, of which he served seven months. He is currently president of Christian Solidarity Worldwide. 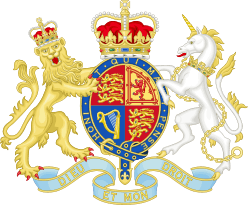 Aitken was also a member of the Privy Council of the United Kingdom. Aitken's parents were Sir William Traven Aitken, KBE, a former Conservative MP, and the Hon. Penelope Aitken, MBE, JP, daughter of John Maffey, 1st Baron Rugby. Aitken is a great-nephew of newspaper magnate and war-time minister Max Aitken, 1st Baron Beaverbrook (Lord Beaverbrook). His sister is the actress Maria Aitken and his nephew is the actor Jack Davenport. He is godfather to James Abbott, the son of Labour left-winger Diane Abbott. In 1979, Aitken married Lolicia Olivera Azucki, a daughter of O. Azucki of Zurich, Switzerland; they divorced in 1998. With his first wife, he had twin daughters and one son, Alexandra and Victoria Aitken, and William Aitken respectively. In 1999, DNA testing confirmed that Petrina Khashoggi, putative daughter of billionaire arms dealer Adnan Khashoggi, was Aitken's biological child, the result of an affair with Khashoggi's then-wife Soraya (née Sandra Daly). He married his second wife, the Hon. Elizabeth Harris, daughter of David Rees-Williams, 1st Baron Ogmore, TD, PC, in June 2003. Aitken was born in Dublin, Ireland. His grandfather Lord Rugby was in 1939 the first British representative to the newly independent Irish state, at a time when Anglo-Irish relations were strained but improving. Aitken's baptism took place on 16 October 1942 at St Patrick's Cathedral, Dublin, an Anglican church, at which he was named "Jonathan William Patrick Aitken". The third name, "Patrick", was included at a late stage owing to the unexpected international importance of the occasion –- one of the Irish papers reported "British envoy's grandson is a real Paddy". The Taoiseach, Éamon de Valera, who knew his grandparents, asked to attend the christening and his presence at the baptism was symbolic of improving Anglo-Irish relations. Also attending was Princess Juliana (later to become Queen Juliana of the Netherlands) as his godmother. Aitken contracted tuberculosis, and at four years of age was admitted to Cappagh Hospital, Dublin where he was an inpatient on a TB ward for more than three years, being cared for and educated by Catholic nuns. His father was severely injured as an RAF pilot when his Spitfire was shot down in World War II. Aitken recovered and was discharged from the hospital aged seven. He lived with his parents at Halesworth, Suffolk, and learnt to walk properly again within a few months. Aitken attended Eton College and read law at Christ Church, Oxford. His career initially followed a similar path to the post-war career of his father, who became a journalist and then the Conservative Member of Parliament for Bury St Edmunds. He served as a war correspondent during the 1960s in Vietnam and Biafra, and gained a reputation for risk-taking when he took LSD in 1966 as an experiment for an article in the London Evening Standard and had a bad trip "..this drug needs police, the Home Office and a dictator to stamp it out..."
He was also a journalist at Yorkshire Television from 1968 to 1970, presenting the regional news show Calendar. Aitken was the first person to be seen on screen from Yorkshire Television when it started broadcasting. In 1970 Aitken was acquitted at the Old Bailey for breaching section 2 of the Official Secrets Act 1911, when he photocopied a report about the British government's supply of arms to Nigeria, and sent a copy to The Sunday Telegraph and to Hugh Fraser, a pro-Biafran (Nigerian Civil War) Tory MP. As a result of the case he was dropped as the Conservative candidate for the Thirsk and Malton parliamentary constituency. In 1993 Aitken published a favourable biography, Nixon: A Life, of former US President Richard Nixon. Although his was not an authorised biography, Aitken was one of the few biographers from whom Nixon accepted questions and to whom he granted interviews. Having been defeated at Meriden in 1966, he was elected as MP for Thanet East in the February 1974 general election; from 1983 he sat for South Thanet. He managed to offend PM Margaret Thatcher by ending a relationship with her daughter, Carol Thatcher, and suggesting that Thatcher "probably thinks Sinai is the plural of Sinus" to an Egyptian newspaper. He stayed on the backbenches throughout Thatcher's premiership, as well as participating in the re-launch of TV-AM, when broadcaster Anna Ford threw her wine at him to express her outrage at both his behaviour and the unwelcome consequent transformation of the TV station. Aitken wrote a highly confidential letter to Thatcher in early 1980, dealing with allegations that the former Director-General of MI5, Sir Roger Hollis, had been a double agent also working for the Soviet Union. This information had come to Aitken from retired CIA spymaster James Angleton. Espionage historian Chapman Pincher obtained a copy of the letter, and used former MI5 officers Peter Wright and Arthur Martin as his main additional secret sources, to write the sensational book Their Trade is Treachery in 1981. This matter raged full of controversy throughout the 1980s, and led to Wright eventually publishing his own best-selling book Spycatcher in 1987, despite the government's prolonged and bitter court attempts to stop him in Australia from doing so. Aitken became Minister of State for Defence Procurement under PM John Major in 1992. He was later accused of violating ministerial rules by allowing an Arab businessman to pay for his stay in the Paris Ritz, perjured himself and was jailed (see below). Aitken had previously been a director of BMARC, an arms exporter, from 1988 to 1990. In 1995 a Commons motion showed that while a Cabinet minister he had signed a controversial Public Interest Immunity Certificate (PIIC) in September 1992 relating to the Matrix Churchill trial, and that the 'gagged' documents included ones relating to the supply of arms to Iraq by BMARC for a period when he was a director of the company. He became Chief Secretary to the Treasury in 1994, a Cabinet position, but resigned in 1995 following the allegations that he had violated ministerial rules. He was defeated in the 1997 election. Within a year he had been appointed as a representative for the arms company GEC-Marconi (part of BAE Systems since November 1999). The World in Action film, Jonathan of Arabia, went ahead and Aitken carried out his threat to sue. The action collapsed in June 1997 (a month after he had lost his seat in the 1997 General Election) when the Guardian and Granada produced, via their counsel George Carman QC, evidence countering his claim that his wife, Lolicia Aitken, paid for the hotel stay at the Ritz Hotel in Paris. The evidence consisted of airline vouchers and other documents showing that his wife had, in fact, been in Switzerland at the time when she had allegedly been at the Ritz in Paris. The joint Guardian/Granada investigation indicated an arms deal scam involving Aitken's friend and business partner, the Lebanese businessman Mohammed Said Ayas, a close associate of Prince Mohammed of Saudi Arabia. It was alleged that Aitken had been prepared to have his teenage daughter Victoria lie under oath to support his version of events, had the case continued. A few days after the libel case collapsed, World in Action broadcast a special edition, which echoed Aitken's "sword of truth" speech. It was entitled The Dagger of Deceit. During this time it emerged that when Aitken was being encouraged to resign, he was chairman of the secretive right wing think-tank Le Cercle, alleged by Alan Clark to be funded by the CIA. Aitken was charged with perjury and perverting the course of justice and, after pleading guilty in 1999 to both offences, was jailed for 18 months of which he served almost seven months as a custodial sentence. During the preceding libel trial, his wife Lolicia, who later left him, was called as a witness to sign a supportive affidavit to the effect that she had paid his Paris hotel bill, but did not appear. In the end, with the case already in court, investigative work by The Guardian reporters into Swiss hotel and British Airways records showed that neither his daughter nor his wife had been in Paris at the time in question. Aitken was unable to cover the legal costs of his libel trial and was declared bankrupt. As part of the bankruptcy, his trustees settled legal actions against the magazine Private Eye, over the various claims it had made that Aitken was a "serial liar". He also became one of the few people to resign from the Privy Council. Aitken's wife and three daughters—twins Victoria and Alexandra Aitken and Petrina Khashoggi—turned up to support him when he was sentenced. Petrina was a previously unacknowledged daughter by Soraya Khashoggi, ex-wife of arms dealer Adnan Khashoggi. On DNA testing at the age of 18, she had turned out to be Aitken's, though Khashoggi had previously accepted her as his own. Aitken attended the Alpha Course in 1997, which he claims stirred his interest in Christianity. He attended the course on further occasions prior to imprisonment. After being imprisoned in 1999, he began to study the Bible, learned Greek, and became a student of Christian theology at Wycliffe Hall, Oxford. This part of his life is covered in two autobiographical works called Pride and Perjury and Porridge and Passion. The Guardian might insist that Aitken demonstrate the sincerity of repentance by repaying the whopping legal bill of one-and-half-million pounds he landed on them by his dishonest libel action. He was allowed to drop the case on promising to pay costs, but then escaped from the liability when he declared himself bankrupt and revealed that most of his apparent assets turn out to be conveniently owned by other people. The Guardian still believe he has more resources than he will admit. He said that he would not become a vicar because he is not worthy of the office and "wouldn't like to give dog-collars a bad name". In 2006 Aitken became honorary president of Christian Solidarity Worldwide. On Sunday 13 July 2008, he gave a sermon at King's Church International in Windsor entitled "Finding God in the Depths". Senior Pastor Wes Richards introduced his coming as a great privilege and described Aitken as a friend both to himself and the church. In early 2004, some constituency party members in Aitken's former seat of South Thanet proposed that he should return as Conservative candidate for the seat. This was vetoed by Conservative Party leader Michael Howard. Aitken later confirmed that he would not attempt a return to Parliament, saying that "the leader has spoken. I accept his judgement with good grace." He denied rumours he was to stand as an independent candidate insisting that he was not a "spoiler". Aitken later declared his support for the United Kingdom Independence Party (UKIP) a week before the party's strong performance in the 2004 European elections. On 2 October 2004, Aitken attended the (UKIP) conference and re-iterated his support for the party. In November 2007, with the approval of senior members of the Shadow Cabinet, he took charge of a task force on prison reform within Iain Duncan Smith's Centre for Social Justice to help formulate Conservative policy. Aitken stated this was not part of a political comeback. Conservative spokesmen pointed out that the task force is independent of the party, even though the organisation is run by Iain Duncan Smith, who is a former Tory leader. The report Locked Up Potential: A Strategy to Reform our Prisons and Rehabilitate our Prisoners was published in March 2009. Jonathan Aitken is currently the honorary president of Christian Solidarity Worldwide and is a Christian writer. the book is worth re-examining these many years later for one reason. Aitken, it has been shown over time, is a figure we can always learn something from, a kind of walking, well-groomed Grimm's fairy tale. . . . In [this book] he intuits the popularity and importance of unquantifiable lists of who is hot, young and going places. Aitken himself had a low opinion of the book: "In terms of style, it was certainly the worst book I've ever written." Yet the title was memorable: it was consciously adopted by Martin Harrison for a survey of the British photojournalism (including Bailey and McCullin) of about the same period. Aitken has written several Christian religious books since his release from prison. Aitken has published two books of prayers, Prayers for People under Pressure (2006) and Psalms for People Under Pressure (2004), and wrote a biography of the English slaver and Anglican clergyman John Newton, John Newton: From Disgrace to Amazing Grace in 2007. Aitken has written several biographies of political figures, including the President of the United States Richard Nixon (Nixon: A Life, 1996), and Nixon's co-conspirator in the Watergate scandal, Charles Colson (Charles W. Colson: A Life Redeemed, 2005). Colson had assisted Aitken in his biography of Nixon, and had later corresponded with Aitken urging him to repent in the wake of the Guardian libel case. In 2009 Aitken published a biography of the President of Kazakhstan, Nursultan Nazarbayev (Nazarbayev and the Making of Kazakhstan: From Communism to Capitalism), with his subject's cooperation. Aitken published a book of personal recollections of Margaret Thatcher, Margaret Thatcher: Power and Personality, after her death in 2013. ↑ "UK | Politics | Aitken weds for second time". BBC News. 25 June 2003. Retrieved 2 October 2011. 1 2 Ridley, Yvonne (10 January 1999). "Family rallies round Aitken's secret Khashoggi love child". The Guardian. London. Retrieved 26 March 2010. ↑ Edwardes, Charlotte (12 August 2001). "Aitken children in fight to keep share of estate". Telegraph. Retrieved 2 October 2011. 1 2 3 4 "The House I Grew Up In, with Jonathan Aitken as participant". The House I Grew Up In. 2009-09-29. BBC. BBC Radio 4. 1 2 Adams, Tim (8 February 2004). "Pilgrim's progress". London: www.guardian.co.uk. Retrieved 1 October 2009. ↑ "The Real Jonathan Aitken". Channel 4. ↑ "YTV 40 years old – A voice for Yorkshire". Yorkshire Evening Post. 21 July 2008. Retrieved 15 March 2010. ↑ "Jonathan Aitken – a 'swashbuckling' life". BBC News. 7 December 1998. Retrieved 26 March 2010. 1 2 3 4 5 "Jonathan Aitken: a timeline". The Guardian. London. 8 June 1999. Retrieved 26 March 2010. ↑ Blackhurst, Chris (29 June 1995). "MPs to question Aitken over BMARC arms allegations". The Independent. London. Retrieved 7 May 2010. ↑ "Aitken sues over Saudi claims". The Guardian. London. Retrieved 7 May 2010. ↑ "Atkin". The Guardian. London. Retrieved 26 March 2010. ↑ The Arabian Connection: The UK Arms Trade to Saudi Arabia. ISBN 0-9506922-5-5. ↑ Blackhurst, Chris (29 June 1997). "Aitken dropped by the Right's secret club". The Independent. London. Retrieved 8 March 2010. 1 2 "Aitken jailed for 18 months". The Guardian. London. 8 June 1999. Retrieved 26 March 2010. ↑ "BBC News UK POLITICS Aitken freed from prison". Retrieved 19 May 2015. ↑ "Jonathan Aitken says Sorry". the Tablet. Retrieved 19 October 2011. 1 2 "Jonathan Aitken's confession". The Tablet. 21 May 1998. Retrieved 2 October 2011. 1 2 Blackhurst, Chris (21 December 1997). "Villain of the Year: Jonathan Aitken; The liar who claims he's turned to God for solace – Life & Style". The Independent. Retrieved 2 October 2011. ↑ Barwick, Sandra (2 November 2000). "I am not worthy of life as a vicar, says Aitken". Telegraph. Retrieved 2 October 2011. ↑ "Christian Solidarity website 2006". Christian Solidarity Worldwide. Retrieved 2 October 2011. ↑ "Jonathan Aitken visits Windsor". King's Church International. 15 July 2008. Retrieved 28 November 2010. ↑ "Howard blocks Aitken's comeback". BBC News. 6 February 2004. Retrieved 26 March 2010. ↑ "Disgraced Tory Aitken backs UKIP". BBC News. 4 June 2004. Retrieved 26 March 2010. ↑ Watt, Nicholas (11 November 2007). "Disgraced Aitken in key new Tory role". The Observer. London. Retrieved 7 May 2010. ↑ Hinsliff, Gaby (22 March 2009). "Give convicts a fresh start, pleads Aitken". The Guardian. London. Retrieved 26 March 2010. ↑ "Locked up potential" (PDF). Centre for Social Justice. Retrieved 2011-10-19. ↑ Travis, Alan (25 March 2009). "Scrap Titan jail plans, urges Jonathan Aitken". The Guardian. London. Retrieved 26 March 2010. ↑ James, Erwin (25 March 2009). "Prisoners of hope". The Guardian. London. Retrieved 26 March 2010. ↑ "Christian Solidarity Worldwide Appoints Jonathan Aitkin as Honorary President | Christian News on Christian Today". Christiantoday.com. 7 October 2006. Retrieved 2 October 2011. ↑ Davies quoted in Craig Taylor, "Promises, promises", The Guardian, 6 September 2003. Accessed 12 February 2013. ↑ Craig Taylor, "Promises, promises", The Guardian, 6 September 2003. Accessed 12 February 2013. ↑ Aitken quoted in Craig Taylor, "Promises, promises", The Guardian, 6 September 2003. Accessed 12 February 2013. ↑ Martin Harrison, Young Meteors: British Photojournalism, 1957–1965 (London: Cape, 1998; ISBN 0-224-05129-6). Harrison writes in the book's preface: "The title 'Young Meteors' [is] taken from Jonathan Aitken's 1976 survey of the financial enterprise of sixties youth. . . ."
1 2 Jonathan Aitken (10 November 2006). Prayers for People Under Pressure. Bloomsbury Academic. ISBN 978-0-8264-8275-4. ↑ Jonathan Aitken (29 January 2004). Psalms for People Under Pressure. Bloomsbury Academic. ISBN 978-0-8264-7275-5. ↑ Jonathan Aitken (2007). John Newton: From Disgrace to Amazing Grace. Continuum. ISBN 978-0-8264-9383-5. ↑ Marre, Oliver (6 April 2008). "Pendennis". The Observer. London. Retrieved 26 March 2010. ↑ Jonathan Aitken (2013). Margaret Thatcher: Power and Personality. A&C Black. ISBN 978-1-4088-3184-7.